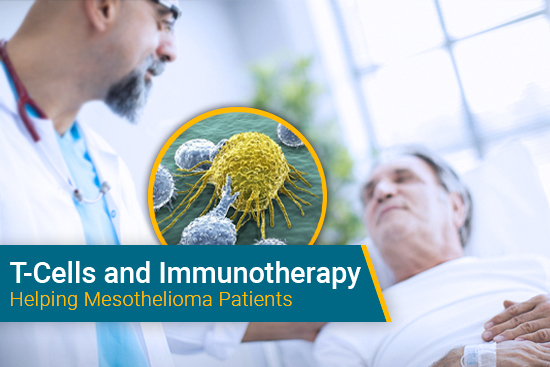 Mesothelioma specialist Dr. Lee Krug recently wrote an open letter to pharmaceutical companies across the country with this message — large enrollment clinical trials are possible for experimental mesothelioma therapies. In the letter, Dr. Krug addresses the false assumption that it is impossible to find a significant amount of participants for their clinical trials because the disease is so rare. Many believe high enrollment clinical trials for mesothelioma aren’t worth the effort because they will never be profitable. Most clinical trials for mesothelioma only test drugs that have been successful in treating other diseases. Dr. Krug is calling on more pharmaceutical companies to put more effort into mesothelioma research. “Historically, drug companies have been reluctant to undertake large trials in mesothelioma due to concerns about feasibility and slow [enrollment],” said Dr. Krug. In his letter, Dr. Krug uses the example of a Phase III trial of a drug called vorinostat to explain why pharmaceutical companies shy away from mesothelioma research. This trial took 5 and a half years to enroll 660 participants. This is a long time to reach an enrollment quota — especially when considering how long enrollment takes for diseases like lung cancer, which has over 70 times more new cases per year than mesothelioma. 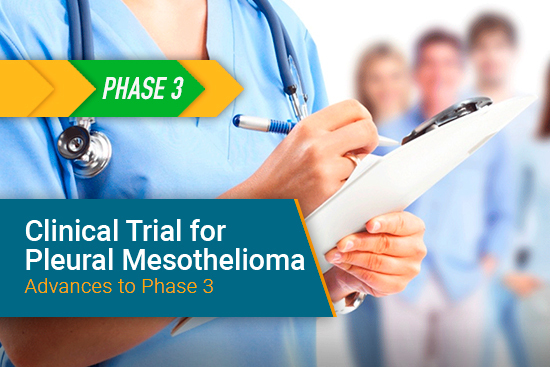 Dr. Krug is quick to point out that just because it’s not as easy to fulfill enrollment in large clinical trials for mesothelioma, it’s far from impossible. In fact, a clinical trial for an immunotherapy drug known as tremelimumab has reached an enrollment of 542 participants in just 17 months. “This accomplishment of completing a trial of this size in such a short period of time should be a wake-up call to the pharmaceutical industry,” said Dr. Krug. Dr. Krug is the director of the mesothelioma program at Memorial Sloan-Kettering Cancer Center in New York. In his career he has led many clinical trials for mesothelioma, including those studying conventional treatments, such as chemotherapy, and those looking into novel treatments like immunotherapy. His message is an attempt to stress more optimism amongst pharmaceutical manufacturers in the hope of developing more treatments for mesothelioma patients. Not all pharmaceutical manufacturers have ostracized initiating mesothelioma research. Two companies stand out as examples for other companies: Eli Lilly and Company and Verastem, Inc.
Eli Lilly helped develop Alimta, the first FDA-approved treatment for mesothelioma. This chemotherapy drug, combined with platinum-based chemotherapy, is responsible for increasing survival times in mesothelioma patients and being the first standard of treatment. This wouldn’t have happened without a large clinical trial and the recognition that such a trial is possible. More recently, a company known as Verastem began pioneering a treatment specifically for mesothelioma patients. The drug, defactinib, is designed to attack mesothelioma cancer stem cells and allow patients to live longer by stopping metastasis. Clinical trials for defactinib haven’t reached the large trial phase yet, but trials are moving ahead quickly. 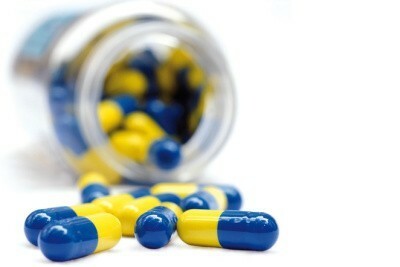 A large trial for this drug is likely to be underway soon. Many argue that public funding is one of the best ways to encourage large clinical trials for mesothelioma. Governmental agencies, such as the National Cancer Institute, are instrumental in raising the funds necessary to conduct clinical trials. Funding and grants help mitigate financial risk for researchers and give them motivation to conduct studies that move treatment forward. The Department of Defense is one of the leading funding agencies for mesothelioma research, doling out its first grant of $2.4 million in 2008. Dr. Krug received a grant of $1.5 million from the DoD in 2009 to conduct a clinical trial that is now in Phase II. 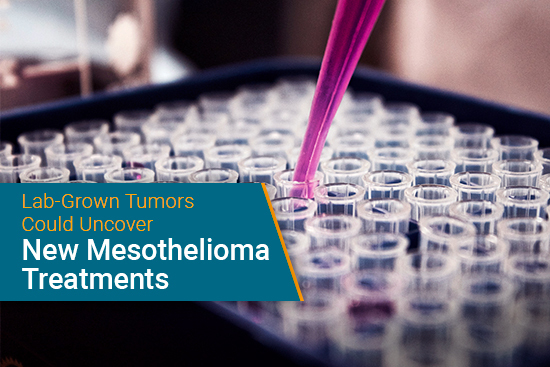 The DoD’s funding of mesothelioma research is likely due to the number of veterans who develop the disease. Congresswoman Carolyn Maloney recently drafted a letter in the 2015 Defense Appropriations bill requesting an additional $40 million for cancer research, almost double last year’s expenditure. This would increase the amount of funding available for mesothelioma research next year, which is helpful to support large trials and encourage pharmaceutical companies to conduct new research. Whether it’s up to pharmaceutical companies to increase research efforts or the government to provide more funding to stimulate research, one thing is clear—it is time for pharmaceutical companies to recognize that large trials for mesothelioma are worth pursuing.